Here’s my two rolling carts of clear thread storage…All threads are arranged within their type in color order. It makes finding the right thread for your project a breeze! Be sure to put your thread away in its proper container when you take it out of your machine. I keep my different types of bobbins in separate clear bobbin holders (cases). 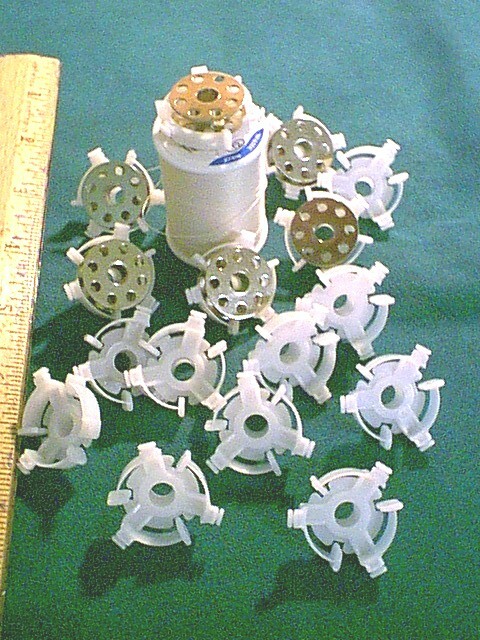 There are also great bobbin wheels available at your local sewing store. 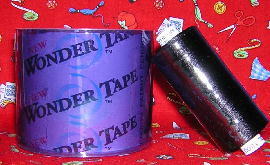 The best Thread Saver! 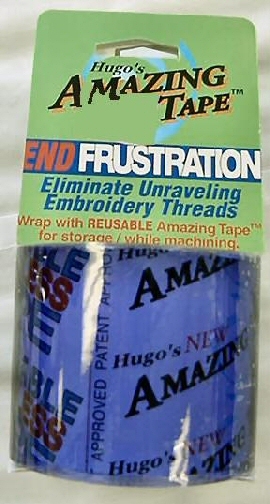 Keeps embroidery thread and sewing threads from tangling. Also great for bobbins! Another TIP: I use a waterproof black marker to differentiate the types of bobbin thread. All regular bobbins are not marked, however, I put an “F” on the bobbins used for fine (thin) thread, an “E” for embroidery bobbin thread and an “S” for silk thread. So girls…you have 72 hours (3 days) to complete this challenge! Please post your BEFORE pictures now and then your AFTER pictures of your newly organized thread storage as soon as you’re done! Nice blog you have going here…nice to see another industry related website. Why in the hEll didn’t I know about the blog before?????????? LOL! love the rolling cart idea. where can i find one? looked on Office Depot-not there. HELP!!!! I think I got mine at KMart or another discount-type store. You might even try your local dollar store! 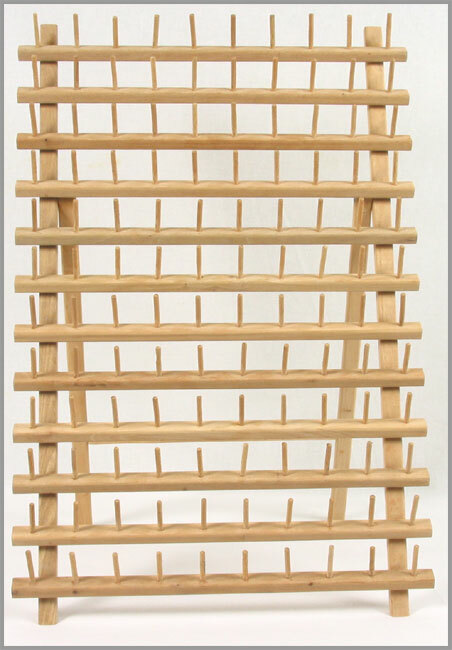 I was at a longarm quilt shop and saw a June Tailor wooden bobbin holder that can be hung on the wall. this method has given me room to on my walls for design boards and keeps thread dust and light free. The book shelf was purchased at Ikea as is section for about 25-30 bucks. I love this method. Susan…I’ve never seen them. Post a link if you find them. Hi Tert! What a great idea! Love it. I’d love to see pics! Help! 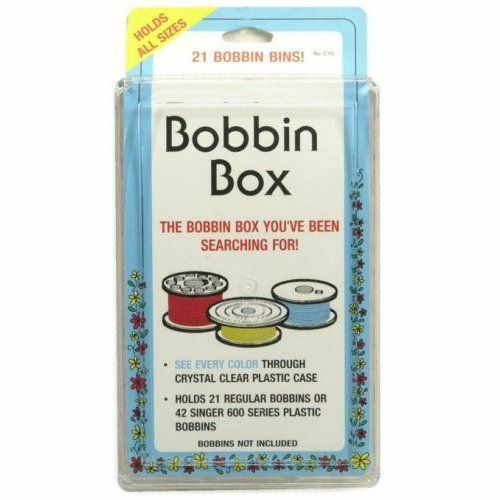 I’ve been searching (in vain) for the foam bobbin holders you have pictured in your sewing room organisation (thread) challenge. Any idea where to find these? Thnx for you help! 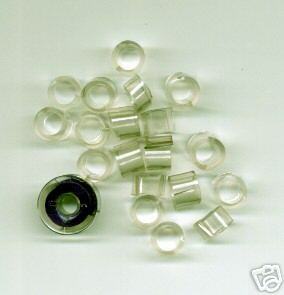 Where can you get the clear plastic box for Serger thread. I have 3 that hold 18 spools of Serger thread and no longer can find them. I think mine came from JoAnne’s but our local store closed and can’t find them on line. 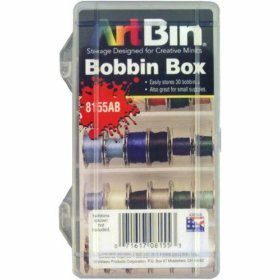 The one you have pictured under “Serger Thread: clear cone thread cases on rolling cart”, it has the same design on the top of the box. Just found your site and really luv it…I was at Harbor Freight and bought a yellow/clear plastic organizer for (I think around) $6-8. 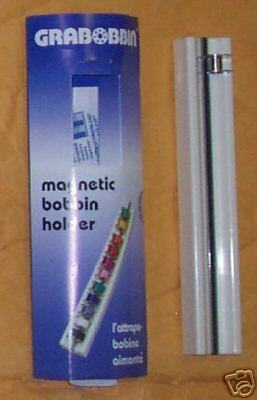 It is PERFECT for my bobbins as it has six stacked containers measuring about 5″X8″X1″. As I have six machines, one box for each machine. The bobbins fit in the elongated sections perfectly. I think it is meant for men’s tool parts…not anymore! One more thing…I buy the “plastic table covers” at WalMart for $1.27 yd. and cut it into strips, then cut it into approx. 4-6″ pieces to wrap around my thread. It sticks to itself easily, cuts easily and is forever reusable. Just be sure to get the “thin” plastic as there are two thicknesses. 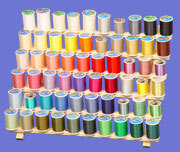 You can cut to the size of your thread spools. How clever Brenda! Thanks for the idea! I have lots of those cheap plastic tablecovers from my big BBQ last night! I have the June Taylor thread rack hanging on my wall, which holds the large spools of thread great, but the problem was the bobbins! I found by putting a straw cut to 2.5 inch over the dowl I can put my thread on with its matching bobbin right on top. The only trick was finding the right size straw. If the straw is too big for your bobbin to fit over you can cut them lengthwise and they will reshape to almost any size you need. 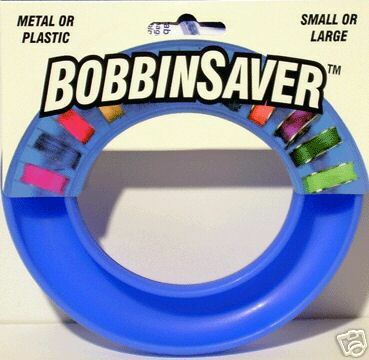 This is great, no searching through bobbin cases to see if you have one the right color, it is right on top of its thread. 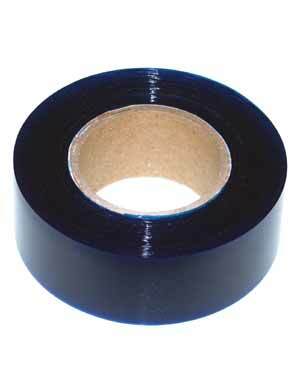 I love the idea of wrapping with plastic to keep the loose end contained and also to keep the thread clean. Barbara…Great idea! Thanks for sharing! A golf “t” is great to keep bobbin and thread spool together. Just put bobbin on top of spool and run a “t” thru both. This is of course in a storage box. But may work on rack too. I am organizing my sewing nest…and have loved lots of ideas on this web site. Help….I can’t find the wire mesh rolling cart to hold threads anywhere. I have googled and looked every place suggested. Has anyone found a wire mesh rolling cart? Wire mesh rolling carts can be found at your local Dollar Store, K-Mart or Target. p.s. The cart from Sam’s has a stationary top shelf (which I use for larger cones threads) and stationary bottom shelf. 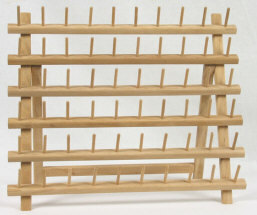 The center is a smooth gliding drawer – which I’m using for regular sized threads, stacked in the clear thread cases. awesome! I usually see these rolling carts in the dollar stores for under $10. Glad you found them! Where can I purchase the grey foam bobbin holders? I now have 2 and want 2 more. They hold the Bernina 830 and 780 larger bobbins beautifully. Anxious for an answer.